In the annals of e-publishing history the likes of Amanda Hocking and Joe Konrath have their place assured. And while Amanda has recently signed up with the dead-tree guys (legacy publishers as they call them over there) to straddle both the old and new worlds, Joe remains his usual self, quietly trying to convince us paper has no future, even while his paperbacks and audio editions continue to sell on Amazon. Last week his blog Are You Dense? (http://jakonrath.blogspot.com/2011/04/are-you-dense.html) laid out his position in his usual bashful way. I’m talking to you. The writers who are still thoughtlessly defending legacy publishing. A few days before that another big-hitter, Bob Mayer (http://jakonrath.blogspot.com/2011/04/guest-post-by-bob-mayer.html) had a guest spot on Joe’s blog and said much the same thing, but not with Joe’s charm, tact and diplomacy. So just how well is Joe Konrath doing? His latest blog, 276,112 (http://jakonrath.blogspot.com/) says it all. “Two hundred and seventy-six thousand, one hundred and eleven. Over a quarter million e-books sold. Impressive! Well done, Joe! Inspiring stuff, but totally unrealistic for any of us mere mortals, of course. “It’s important to note that the very first month my ebooks were for sale on Kindle, I sold 1095 ebooks, and that was with 8 ebooks available. It took two years for my sales to reach where they’re at, and now I have 30 ebooks available. Er, Joe… Yes it does! 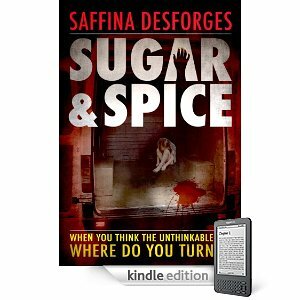 Sugar & Spice has been on Kindle for just five months. 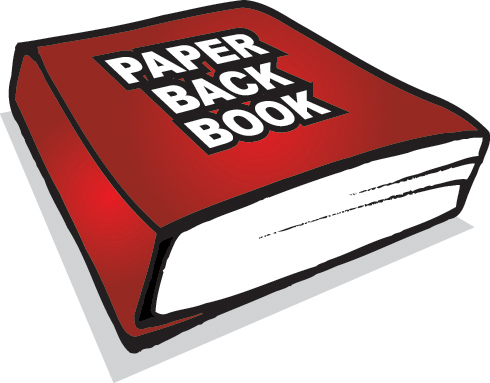 We are already selling 20,000 a month, and we have only ONE title… and no paperbacks! Sorry, I don’t understand what you’re trying to say here. So, who are the mere mortals you’re talking about if you are the overnight success selling 20 k books a month? Joe says how he did that. How did you do that. If you’re a mere mortal like me, I’d like to emulate your success. LOL! Sorry, Stuart. The reference Saffi ia making is that Joe is seen as an indie-publishing god by so many. Not THE god, of course. That’s Amanda Hocking! As for emulating our success – all Saffi is saying is that it can be done, and sooner than Joe’s path took him. Joe is still a god to us. He’s sold a quarter million books! We admire and envy him, don’t get us wrong. But making waves is part of the route to success, Stuart. No-one notices the quiet kid at the back of the class! Joe may well loathe the legacy system as much as he says. Who knows? But the reason he makes big noises about his success and their short-comings is because it helps get him noticed and thereby helps sell his books! And it also inspires others to try. If you want to emulate our success, let alone Joe’s, you need three things. To get noticed. To keep getting noticed. And to get noticed again after that! Oh yeah. And having a good book helps too.